2011 Hamilton Russel Vineyards Chardonnay, South Africa. Deep golden color with no browning, good acid with flavors of caramel, almonds. An amazing non Reserve California Chardonnay, still drinking well, after 20+ years. very strong tobacco leaf with building fruit profile. Perfectly integrated tannins. Drinking beautifully… probably the WINE OF THE NIGHT. 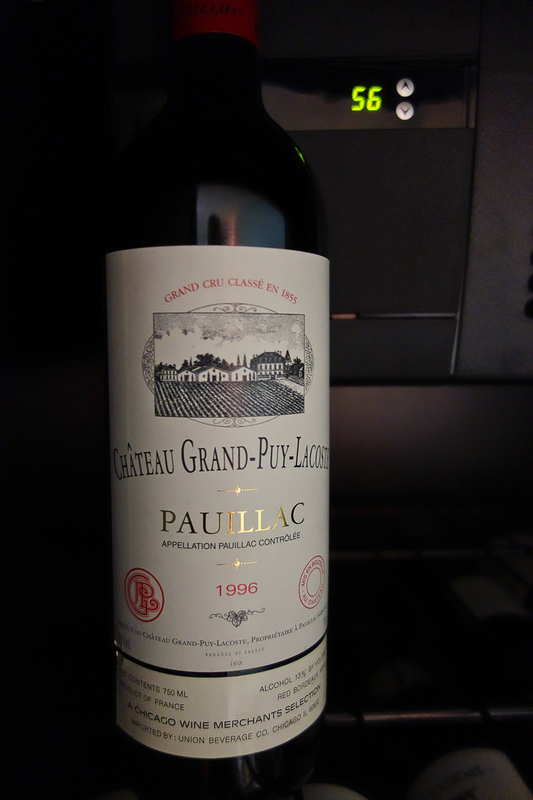 1983 Chateau Pichon Lalande, Pauillac, France. Detected aromas of mint (eucalyptus?) or cedar also drinking very well. As it sat in glass it continued to change with flavors of grilled meat and tobacco. 1989 Chateau Leoville Las Cases, St. Julien, France. (has PLENTY ) of life left. You are invited to a dinner: BYO California or Bordeaux wines, vintage date before 2000, containing only “typical” Bordeaux varietals: Cabernet Sauvignon, Merlot or Cabernet Franc (no Malbec, no Petit Verdot). Wine can be 100% of any, or any combination of the three. Note: Bordeaux also allows for Carmenere in the blend, but so few use it anymore that it wasn’t even mentioned. I planned to bring Bordeaux but as I went through the older wines that I had on hand (in the wine keeper) all of them had some Petit Verdot. 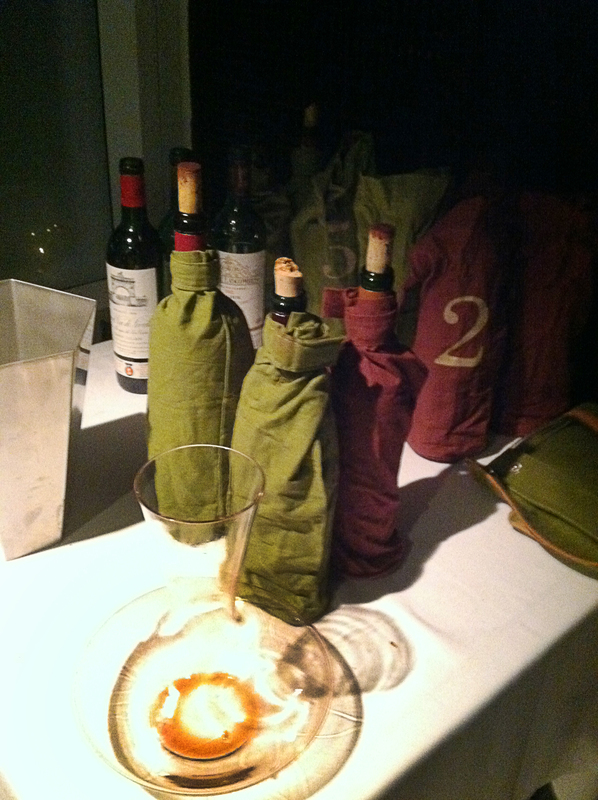 I started with the “BIG BOYS”, left bank Bordeaux, that generally have a large percentage of Cabernet Sauvignon (>70%). If you like California Cabernet you should also start with this list. The first number is their ranking (from the 1885 Classification) with the percentages of grapes that are planted in their fields. * indicates that it may have Petit Verdot in it depending on the vintage. 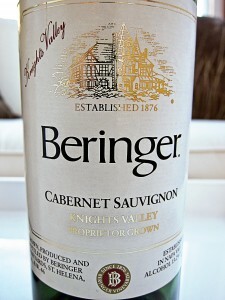 To join in the fun of Open That Bottle Night I decided to open a wine special to me- a 1986 California Cabernet Sauvignon (this was the year I graduated High School). 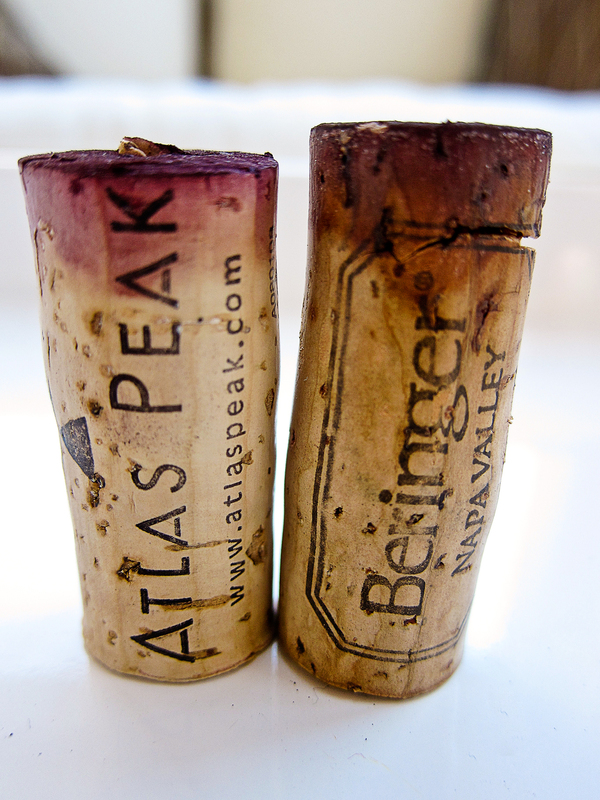 Since I am often asked, “Are old wines better?” AND I had a younger Napa Cab downstairs in the “cellar”- I opened them both. About Older wines… Approximately 95% of wines are made to be consumed within 1 year of their release (when they are first on shelves). 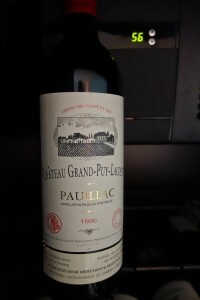 As a general guide, the wines that usually reward aging are the robust reds – the better Bordeaux, Burgundy and Rhones from France, their counterparts (Cabernet Sauvignon, Merlot, Pinot Noir and Syrah) from the New World; sturdy Italian reds like Brunello and Barolo; and the rich, strong dessert wines like Port, Sauternes and the fine late-harvest Rieslings from Germany. As you can see from the corks above there is a big difference in the color of the wines. 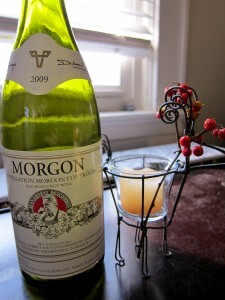 Whites wines get darker as they age but red wines actually get lighter and less saturated (less colorful) as they age. 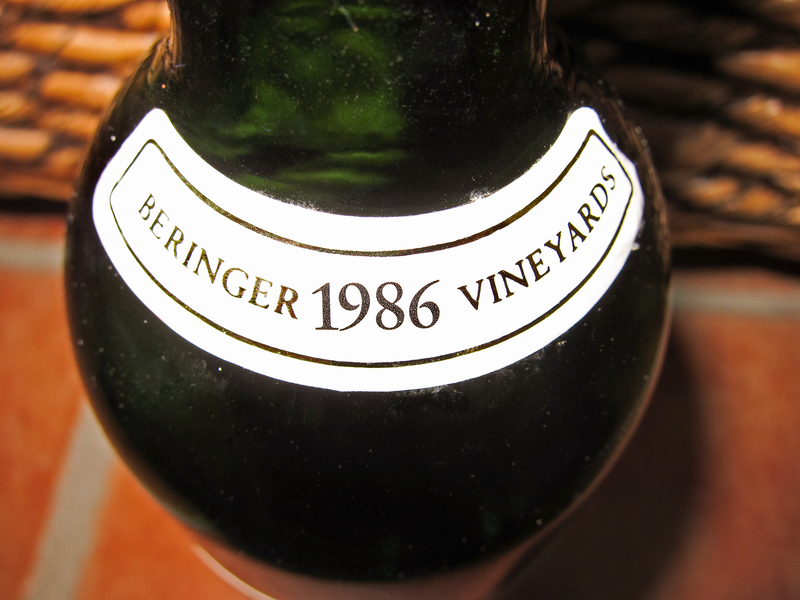 The 2006 Atlas Peak in the glass, was purple and opaque but the 1986 Beringer was more transparent and brick orange-red in color. Tasting the wines proved they tasted as different as they appeared. 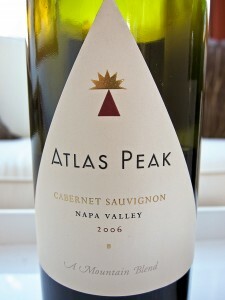 Atlas Peak 2006 is still a young wine and has some noticeable tannin that will soften as it ages. 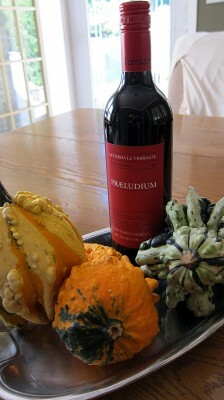 It had VERY ripe flavors of dark fruit (blackberry, currant), almost jammy, with noticeable OAK. Made from Cabernet Sauvignon from different Napa Valley mountain vineyards it is a great wine for the price (around $25). The 1986 Beringer, Knights Valley was much more subtle and restrained. 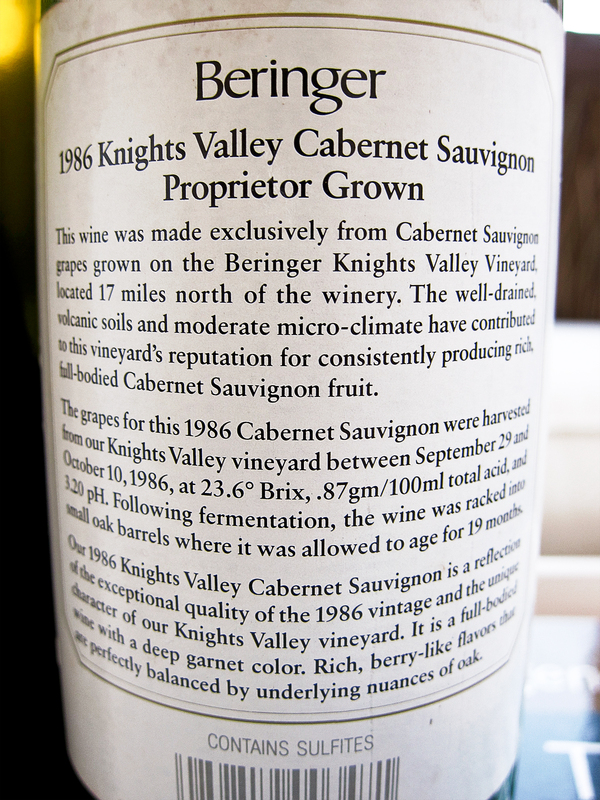 As wine ages in barrel, the tannins, imparted from the grape skins and stems, become less apparent. The flavors of this wine were less ripe fruit, but still darker fruits, like currant and black cherry, with some earth and iron. 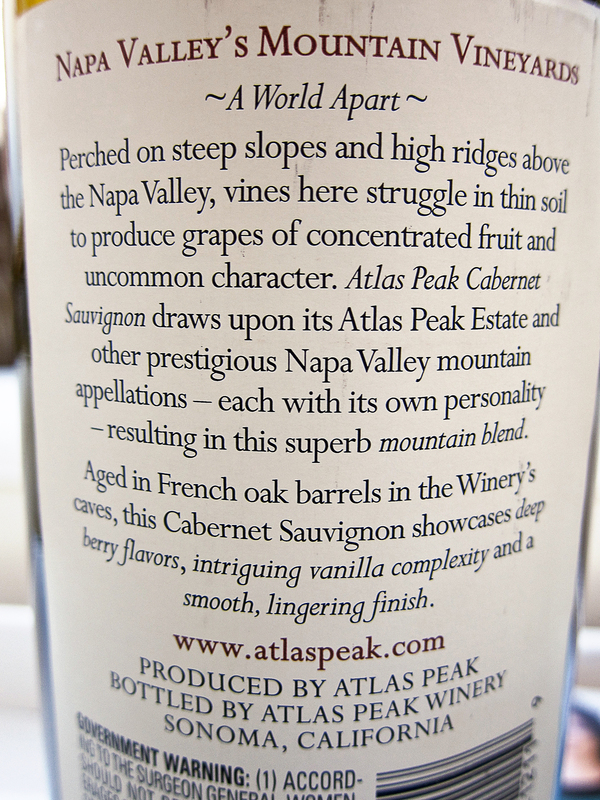 Although this wine still had some life left it was nowhere near as fruit forward as the Atlas Peak. Kinda like comparing your niece and your grandmother. One is youthful, carefree and full of life, the other has experience/wisdom and has “mellowed” a bit with life and age. But you love them both. I Recently attended the Pompeii exhibit at Times Square. Unfortunately, the last time we were in Italy we did not have time to see Pompeii/Mt. Vesuvius in person. But we like to have reasons to return! 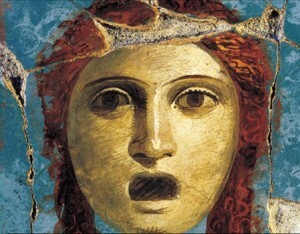 Pompeii was a bustling, developed metropolis at the base of Mt. Vesuvius before it erupted in 79 A.D. and buried the entire city under 12 ft of volcanic mud, soil and ash. Over time they excavated the site and unearthed perfectly preserved human bodies (a little spooky) and the remnants of a modern society. They found pottery, cooking ovens, fashionable jewelry, and plumbing that looks more sophisticated than I have in my 1926 home. The people of Pompeii enjoyed themselves…they had dice and other gambling games, along with prostitution, and over 200 wine bars! Looking forward to Superbowl XLV? I am. Pittsburgh and Green Bay are “old school” football teams. This is the first title game with 2 teams more than 75 years old. Combined, these two teams account for 9 Super Bowl titles. Football, at it’s best, is testosterone-fueled, hard hitting action. To compete with this level of intensity we need BIG, BOLD, teeth-staining wine. 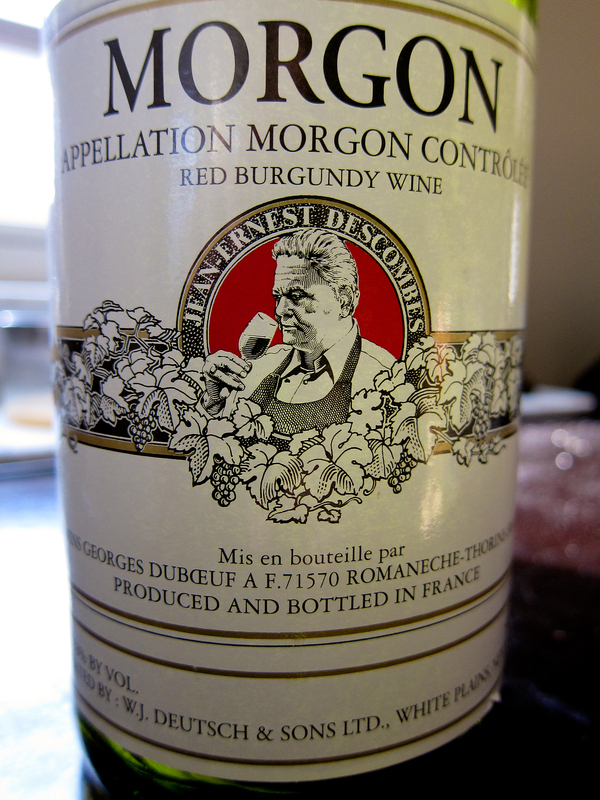 Keep reading for a couple of my favorite “gridiron greats”- hearty recipes and wines for the big game. 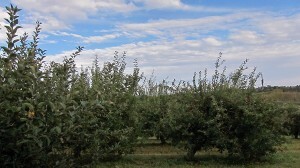 Beautiful warm weather, early fall day after apple picking…. what to drink? Wine of the Week- any Bob Dylan fans? 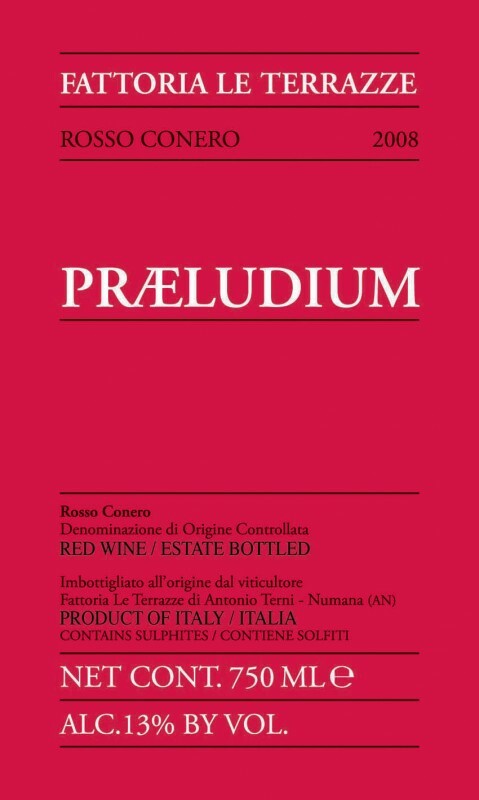 Le Terrazze Praeludium- around $12 retail– if you can find it. When the weather turns cooler I think red wine. However it is still early fall and we have been blessed with 70 degree weather. Now I am thinking light to medium bodied, slightly fruity, red. You might think I went for Syrah or Beaujolais (Gamay grape)? Nope. Rosso Conero (Montepulciano grape and a dollop of Syrah) from Le Marche (lay MAR-kay) which is located on the back of the Italian boot (top of the calf). The wine is made by Bob Dylan fanatic Antonio Terni of Fattoria Le Terrazze. Several of his wines have received the Tre Bicchieri (three glasses) award which is the highest Italian honor for a wine to receive.